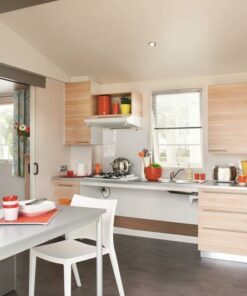 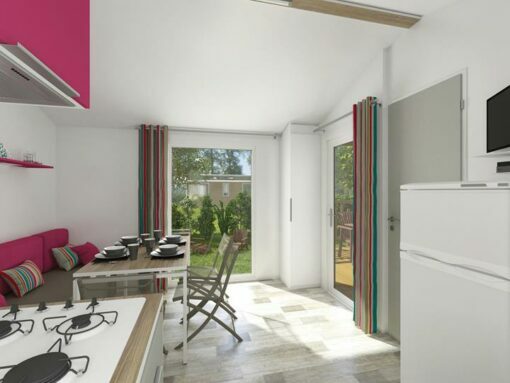 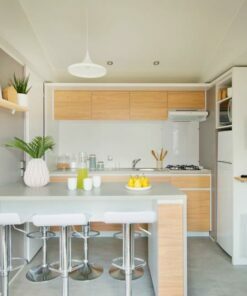 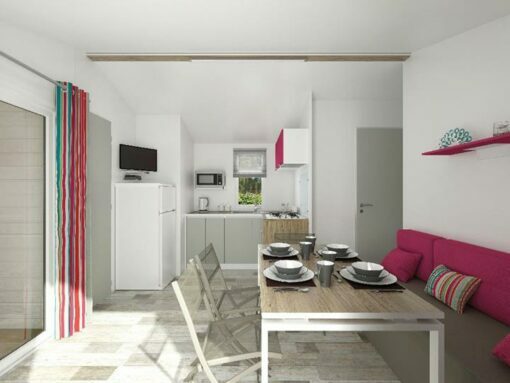 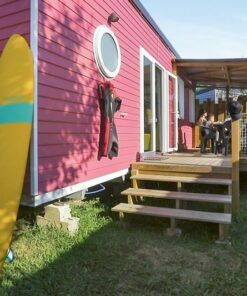 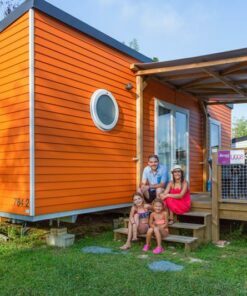 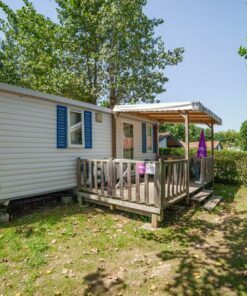 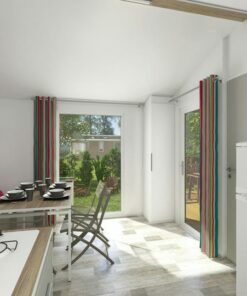 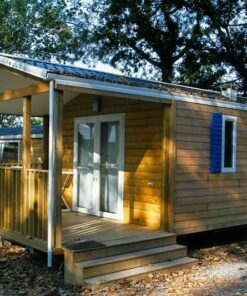 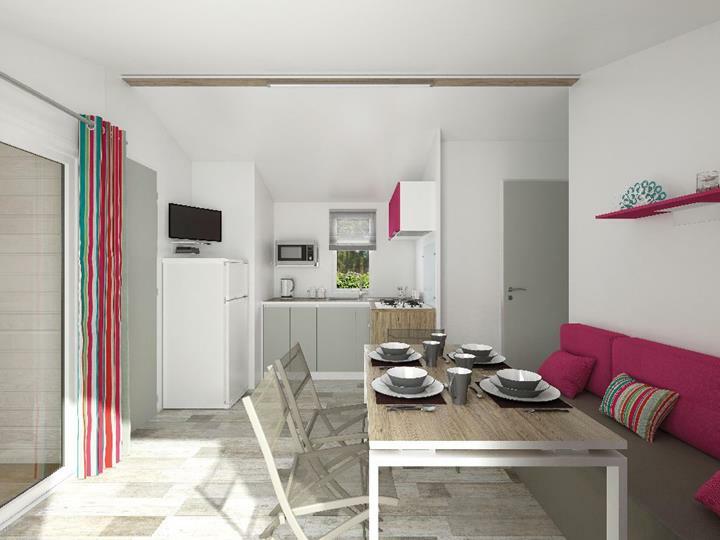 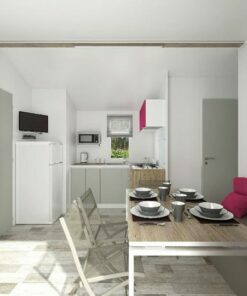 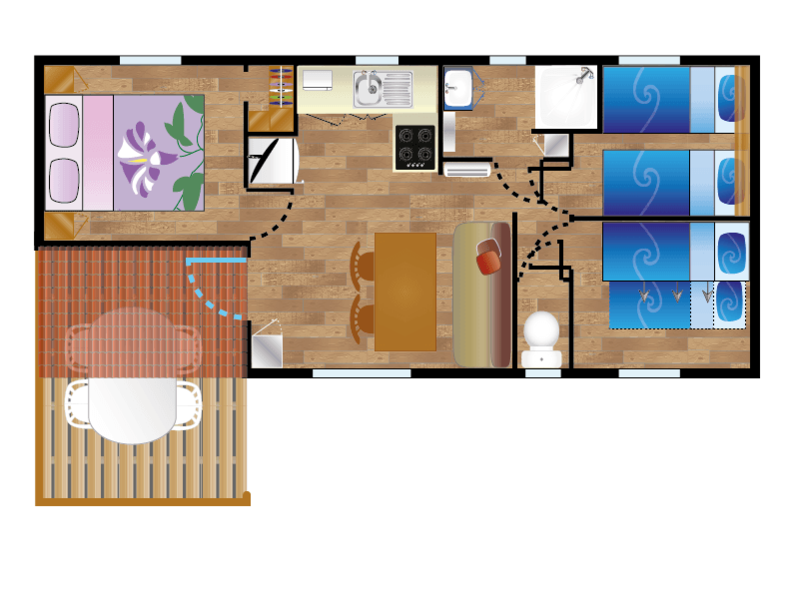 The Goramendi 3-bedroom mobile home for 6 to 7 people offers a semi-covered terrace and a modern and bright living space. 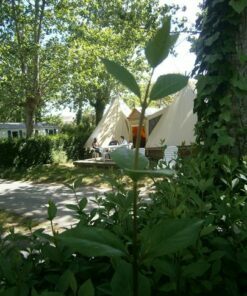 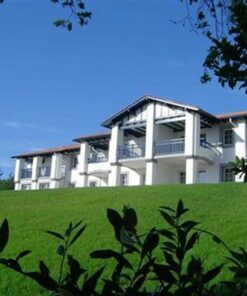 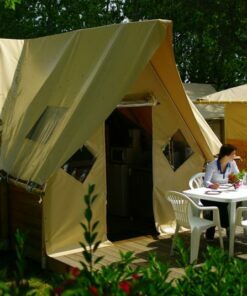 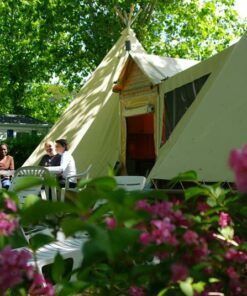 It offers the level of comfort expected in a 4**** camping site at the gates of Biarritz. 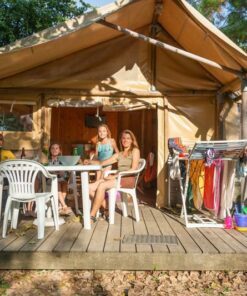 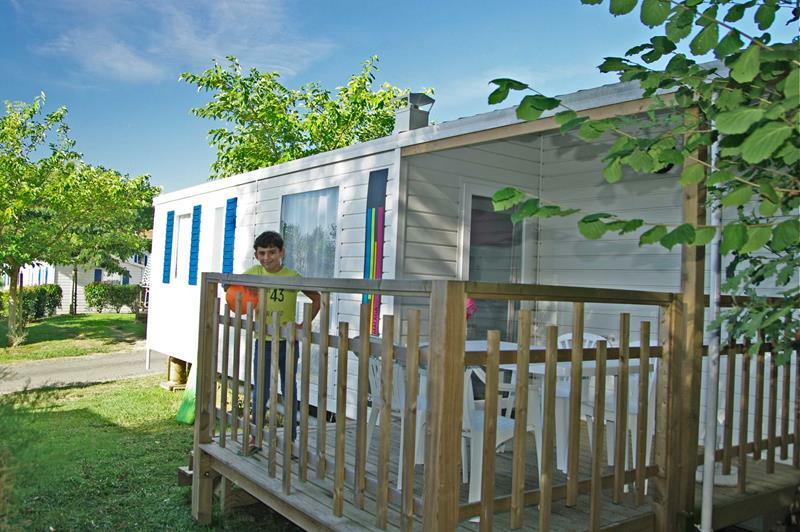 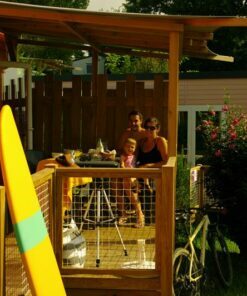 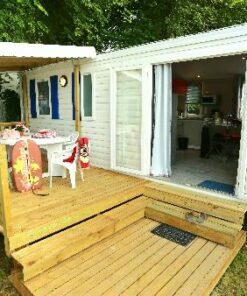 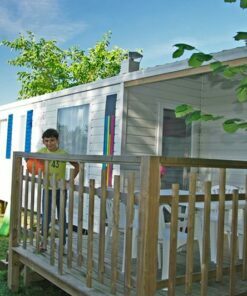 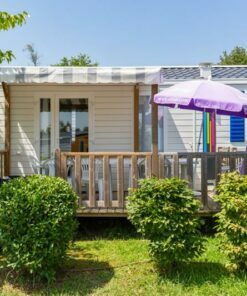 Goramendi mobile home is the ideal accommodation for holidays with family and friends in the Basque Country. 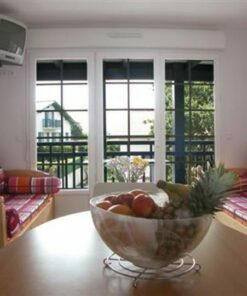 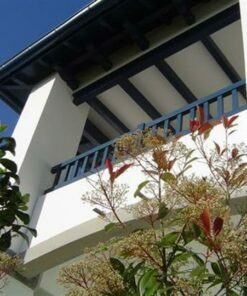 This rental offers you 3 rooms to welcome your family in a comfort of flawless quality. 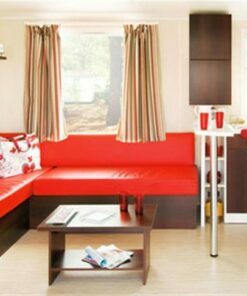 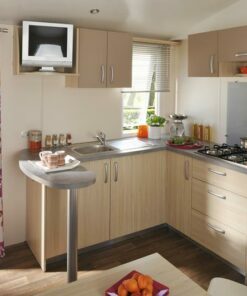 The equipment of this mobile home is complete (TV, covered terrace and reversible air conditioning). 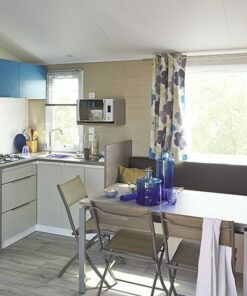 In addition, the decoration of this mobile home is very neat. In addition, Camping Oyam is perfect for you because it also offers many activities for your children. 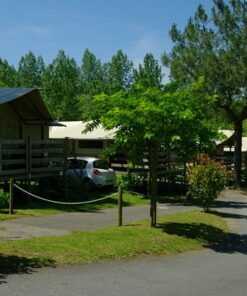 We offer a heated aquatic complex, a large playground and a restaurant, the Oyam café. 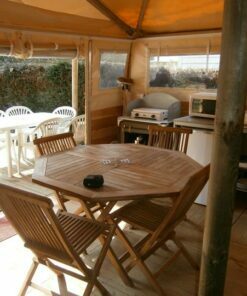 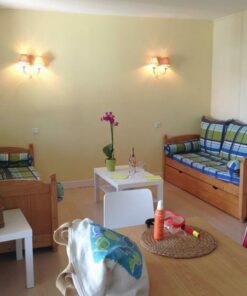 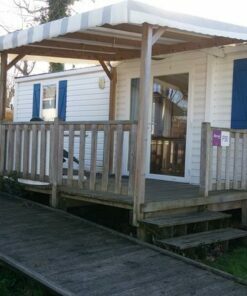 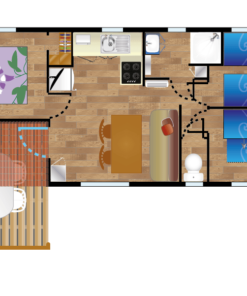 That’s why we offer this mobile home for 6 people with a covered terrace. 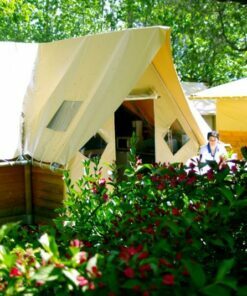 Indeed, it is very popular for enjoying the outdoors throughout the day while favouring family moments.